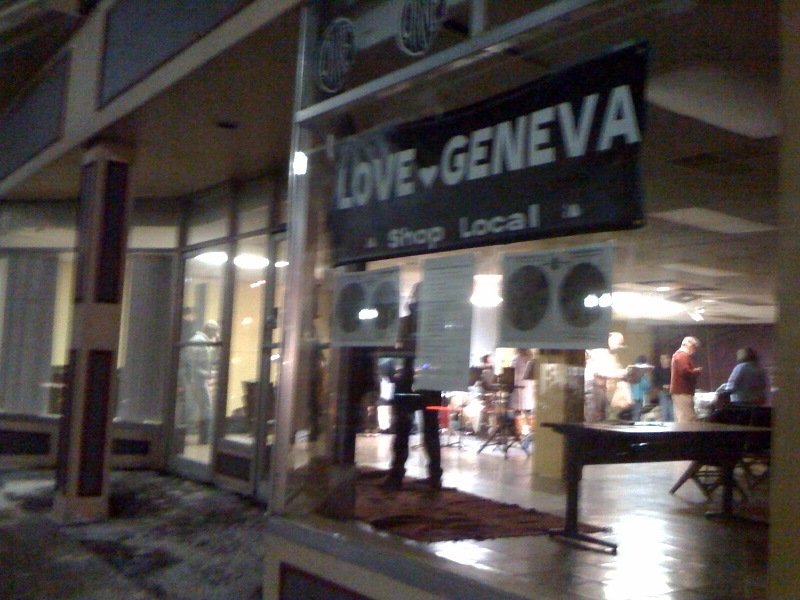 The Geneva Antique Co-Op represents over 70 dealers offering antiques and collectibles on two floors. From curious little knick-knacks to exquisite antique furniture, there is something of interest for everyone. But with over 50 cases and 40 booths, plan on being there for awhile! 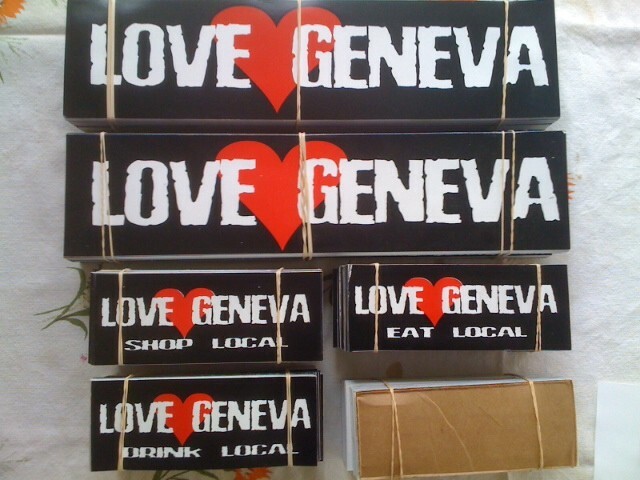 Come on out and help support the cooperative by spreading some Geneva love! Available only at Geneva Bicycle Center! We’ve got a new batch of stickers in, plus special small semi-customized stickers: eat local, drink local, and shop local. The fourth is a secret sticker that will be unveiled soon enough! Also, today’s Finger Lakes Times has a nice photo from Saturday’s cash mob at Earthly Possessions! 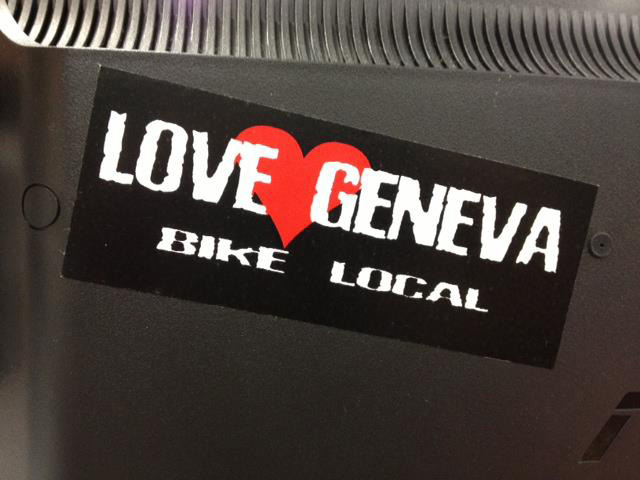 There is a nice photo in today’s Finger Lakes Times of City Manager Matt Horn holding up a LOVE GENEVA bumper sticker at a recent meeting. Unconfirmed reports claim he was in the middle of saying “The city will give $100 to everyone with one of these on their car.” Again, those are unconfirmed reports! Here is the photo and blurb. Geneva, you are a special place. To the artists and the business owners and the attendees who braved the chilly air to take in the sights, sounds and tastes around downtown: THANK YOU! The first Geneva Night Out exceeded our expectations, and we’re just getting started. Please continue to support your local businesses and artists, and we’ll see you again on March 1st! Thanks to everyone who made it out! Let’s do it again next month! !